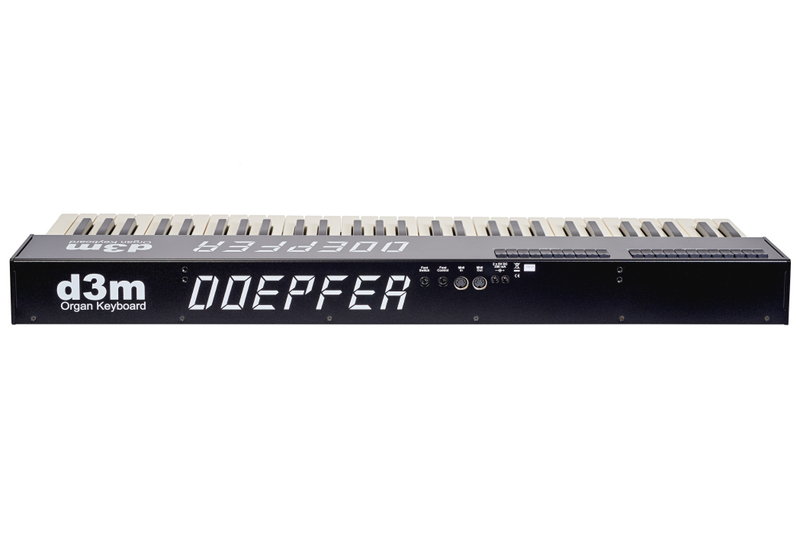 The d3 is Doepfer´s modular organ keyboard series which has been developed as a master keyboard for organ simulations primarely. 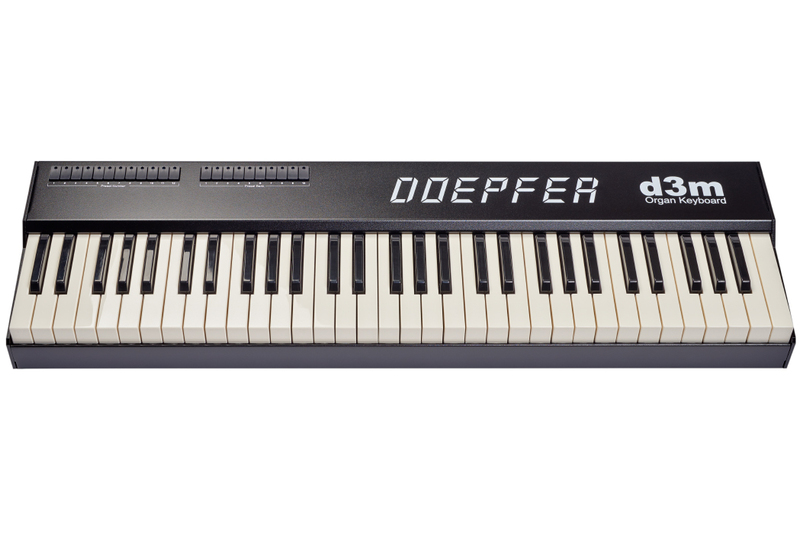 The first product released was the d3m, a pure organ keyboard without drawbars. 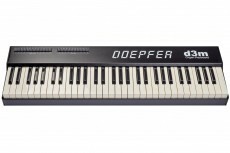 It is possible to cascade several d3m units to create a multi-keyboard organ controller but it is also a smart very stable keyboard for anything else.. without wheels. 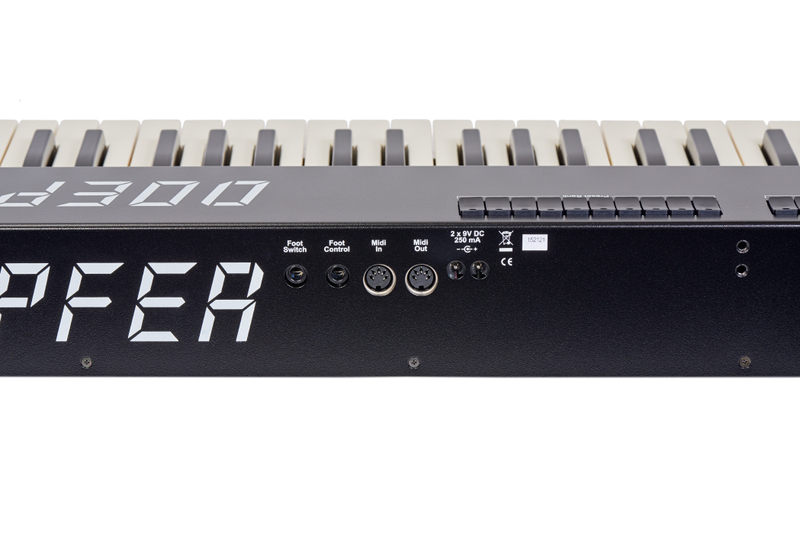 The product has a pressure-sensitive keyboard, which resembles of a classic waterfall-organ-keyboard concerning the look and feel. Compact size was made possible by leaving out wheels which are not really necessary for an organ. 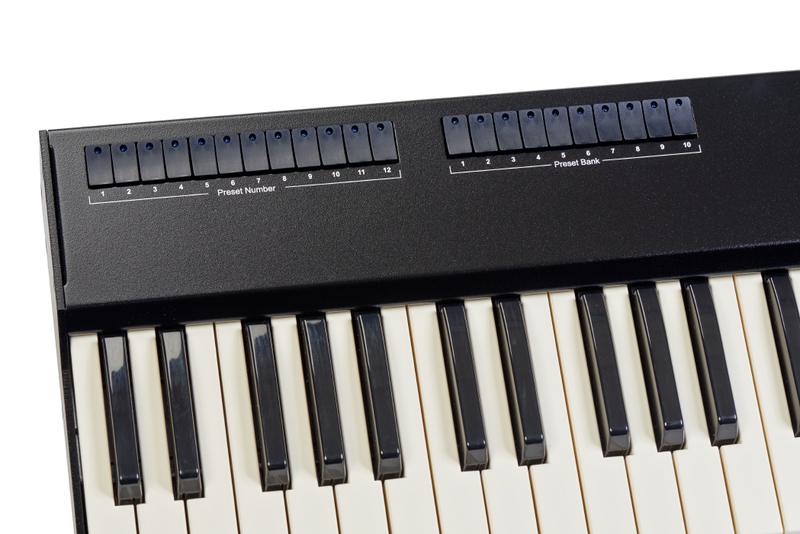 On the faceplate you can find 22 buttons for recalling 10 preset banks each with 12 presets. When using several d3ms you will need to use one power supply only, as the power can be send from one unit to the next.